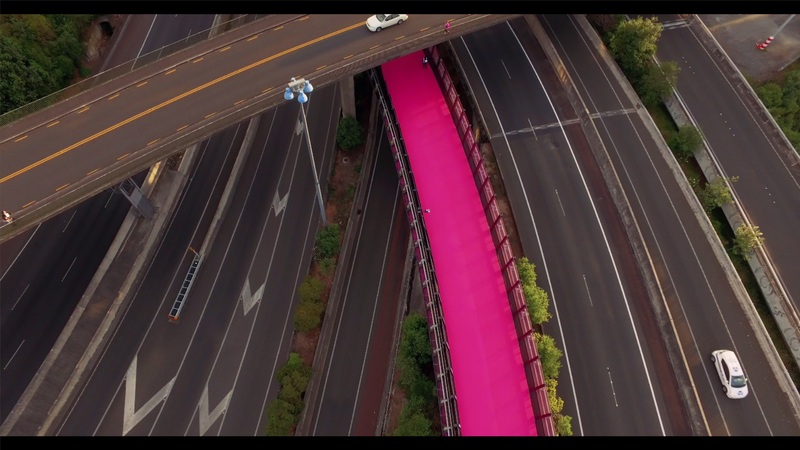 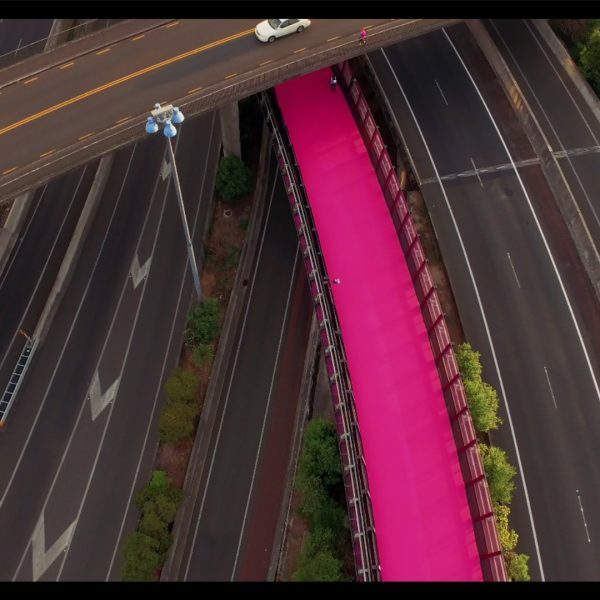 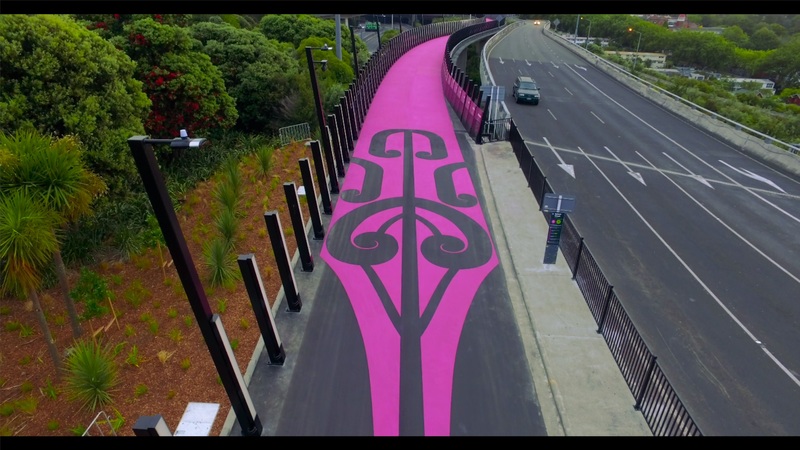 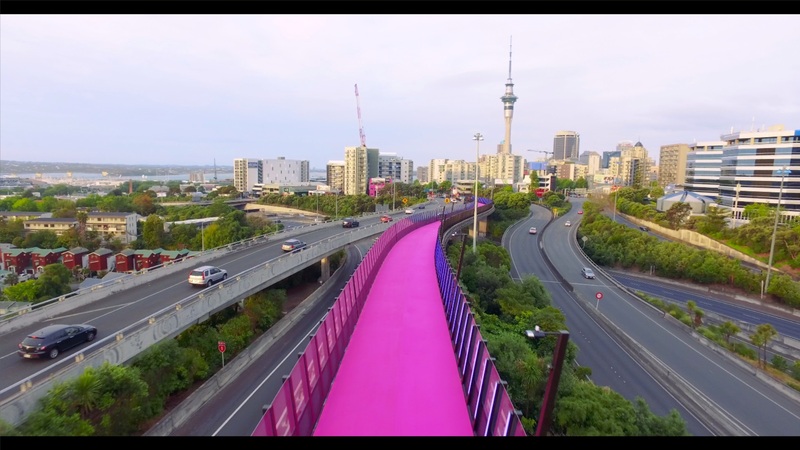 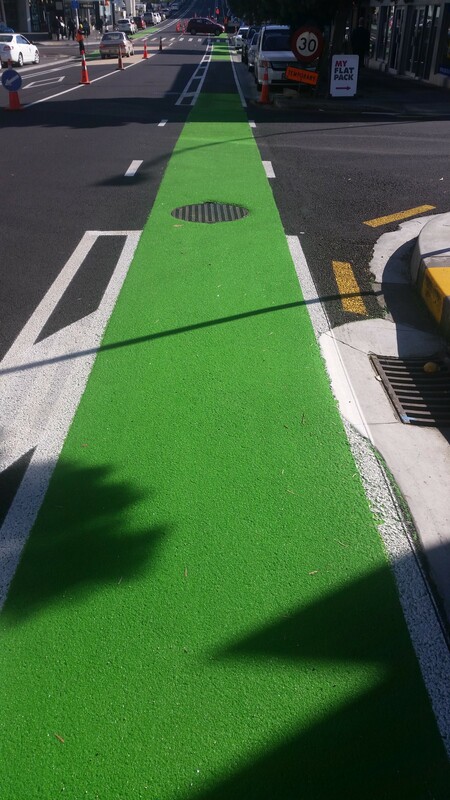 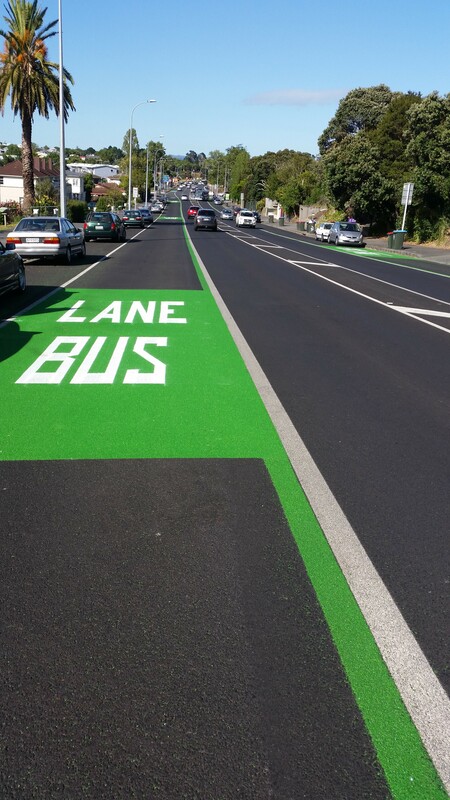 Nelson Street Cycle Way – Total Area 3500m² plus 150 m² of Koru Artwork. 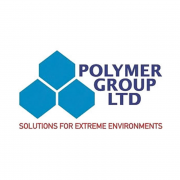 Evergreen High Performance Coloured High Friction Surfacing Treatment is a rapid cure, 100% solids, solvent free, high build, semi-flexible polyurethane binder used with high PSV magenta coloured aggregate providing high friction surfaces on the former motorway asphalt surface. 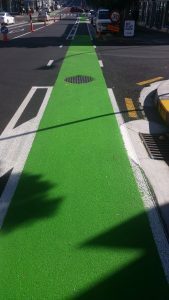 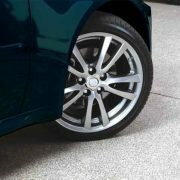 Evergreen High Performance Coloured High Friction Surfacing Treatment provides a decorative trafficable surface with excellent slip resistance in both wet and dry conditions. 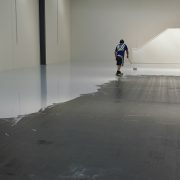 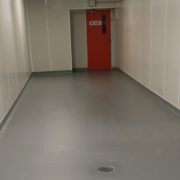 Applied by Resin Surfaces Ltd.